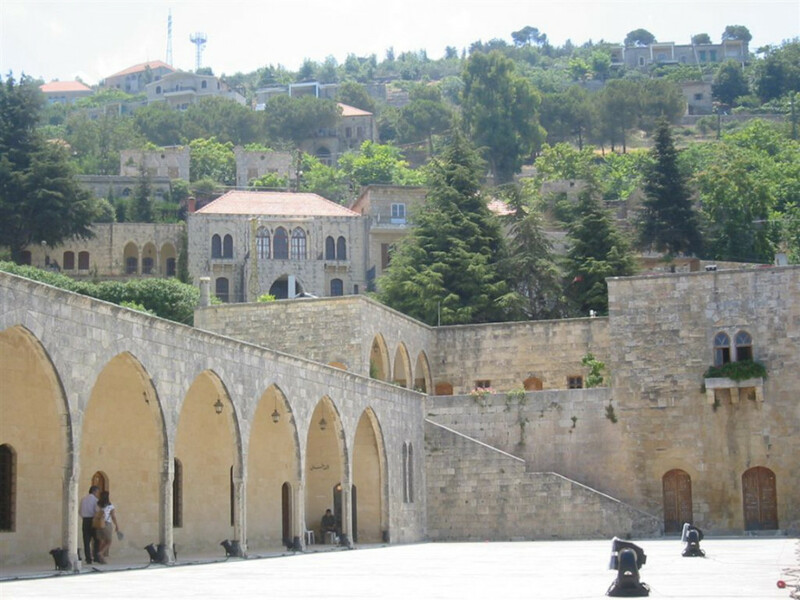 Beit ed-Dine means"House of Religion"
Beiteddine, Lebanon is known for its Festival, which is held in a 200-year-old palace in Beiteddine, a little town in the mountainous region of the Chouf, 45 kilometres south-east of Beirut. 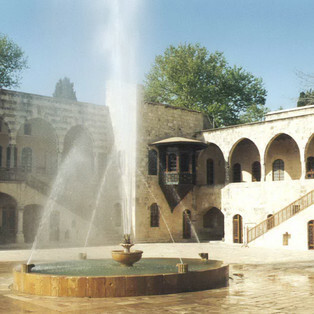 The Palace is a jewel of Lebanese architecture with its many courtyards, monumental gates, elegant arcades and levelled galleries. 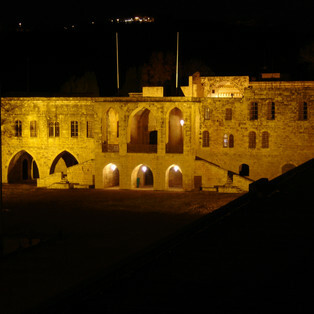 Built at the beginning of the 19th century by Emir Bechir Chehab II, the Palace was once the headquarters of the Moutassarifia and served later as the summer residence of the Lebanese Presidents. With the onset of the war in 1975, the Palace stopped being used for official purposes. 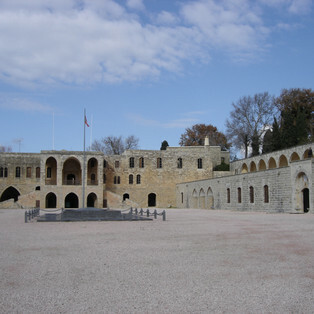 - One route goes South from Beirut and then turns Eastward at Damour and back towards the Northeast to get to Beiteddine.